Professional bodyguard D Hunter takes a gig protecting rapper Asya Roc at an underground fight club in poverty-stricken Brownsville, Brooklyn. Unknown to D, the rapper has arranged to purchase illegal guns at the event. An acquaintance of D's from the streets, Ice, turns out to be the courier. During the exchange, a robbery is attempted and Ice is wounded. D gets Asya Roc to safety but, now in possession of the illicit merchandise, finds himself being chased by two gunmen. When D and his pursuers run into a corrupt detective, a bloody shootout ensues. D, who has just moved back to Brooklyn after decades in Manhattan, finds himself involved in multiple mysteries. Who were the gunmen? Why were they after the guns? Who was being set up - Asya Roc or Ice? Meanwhile, he gets a much-needed paying assignment to track down the rarest soul music single ever recorded. With gentrifying Brooklyn as the backdrop, D works to unravel various mysteries - both criminal and musical - while coming to terms with the failure of his security company and the ghosts of his childhood in "oldBrooklyn". 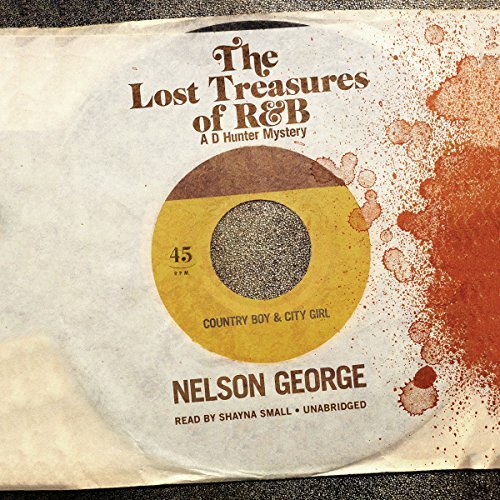 Like its predecessors The Accidental Hunter and The Plot Against Hip Hop, The Lost Treasures of R&B uses pop music as the backdrop for a noir-flavored big-city tale.